In a bowl, combine nectarines and maple syrup. 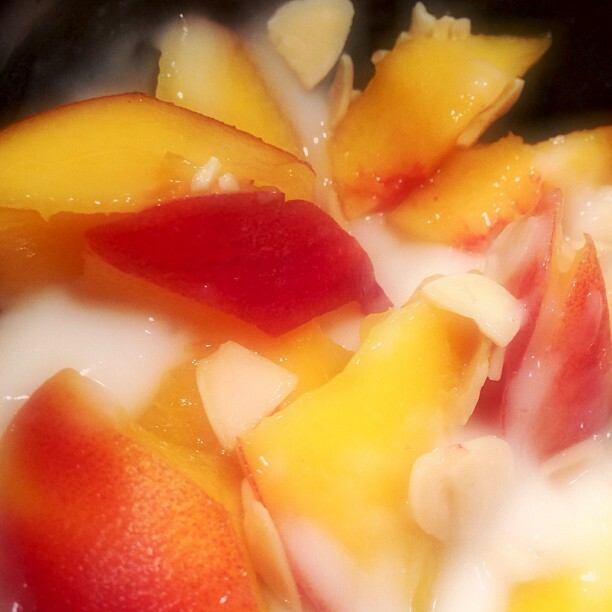 In another bowl, whisk together yogurt and peach puree. Spoon half the peach mixture into jars, dividing equally. Cover with nectarines, dividing equally. Top with the rest of the peach mixture and serve immediately.